Double TWO Nostalgia: On the Buses! 1. Checked - A laid back check will do wonders for your relaxed outfit. 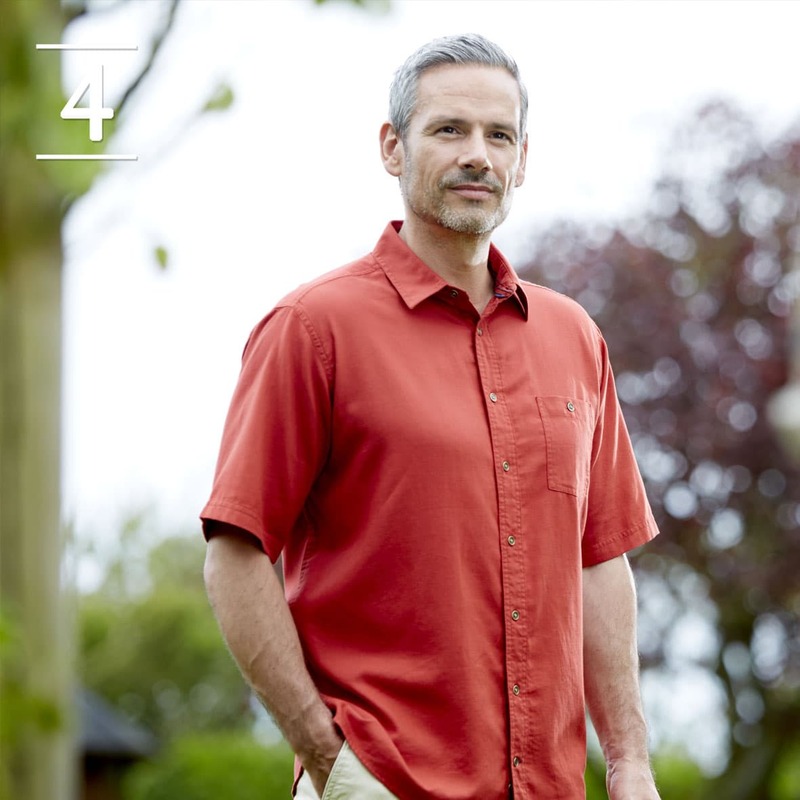 Our collection offers a range of casual checked shirts in various colours and textures. Pair this wardrobe staple with a pair of chino shorts. 2. Striped - Go with a striped casual shirt for those outdoor days. 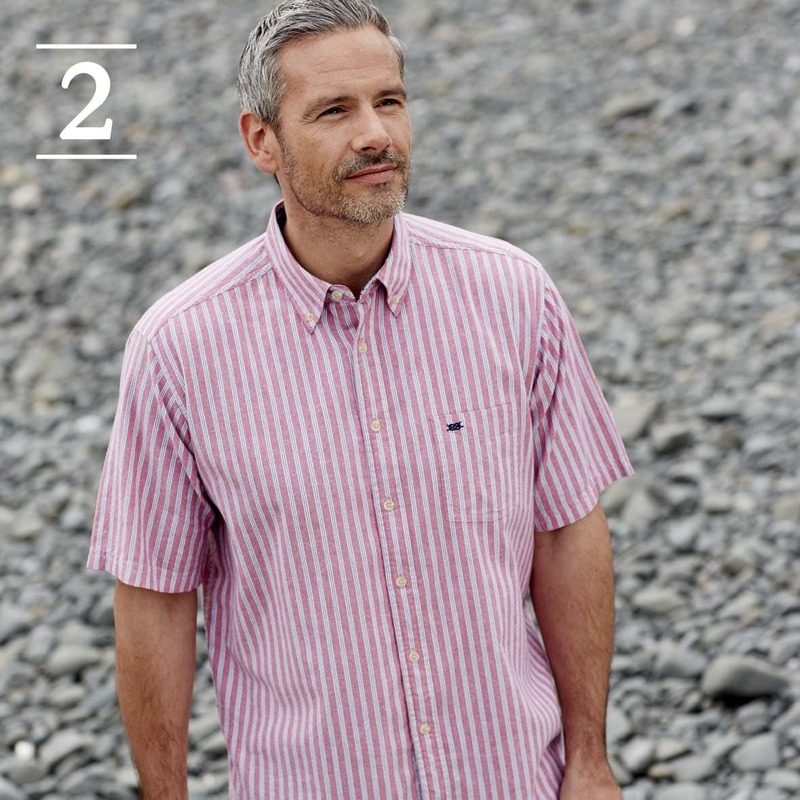 Available in a range of thick or subtle stripes, a striped shirt will add confidence to your wardrobe. 3. Patterned - Our patterned casual shirts are perfect for when you are feeling adventurous. Choose from floral and geometric patterns in a selection of bright colours to add a pop to your outfit. 4. Plain - Plain doesn't mean boring. You can pair a plain casual shirt with a formal outfit fit for the races. 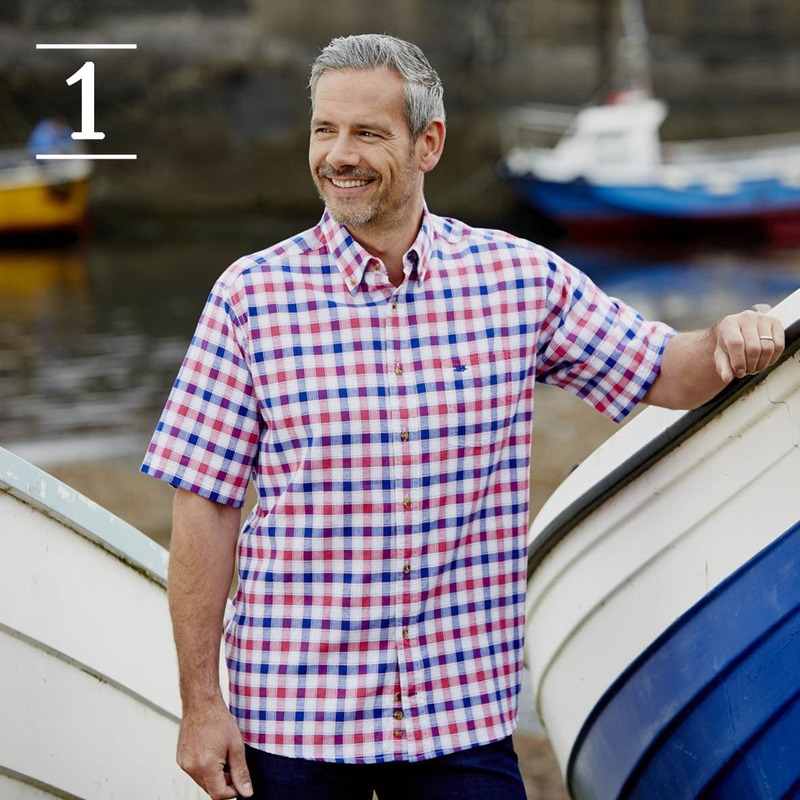 Your short sleeves will keep you cool whilst still looking perfectly smart for this formal occasion. Our new slim fit silhouette fits and flatters all shapes and sizes. 5. 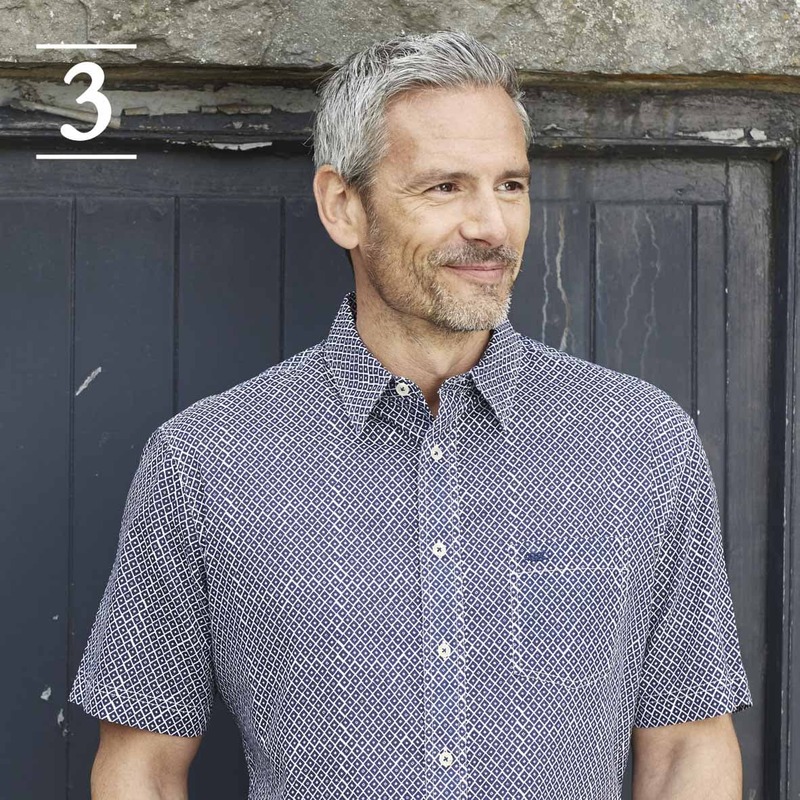 Linen - Perfect for keeping you cool, our range of Linen Casual Shirts feature in a range of blue hues and natural tones. 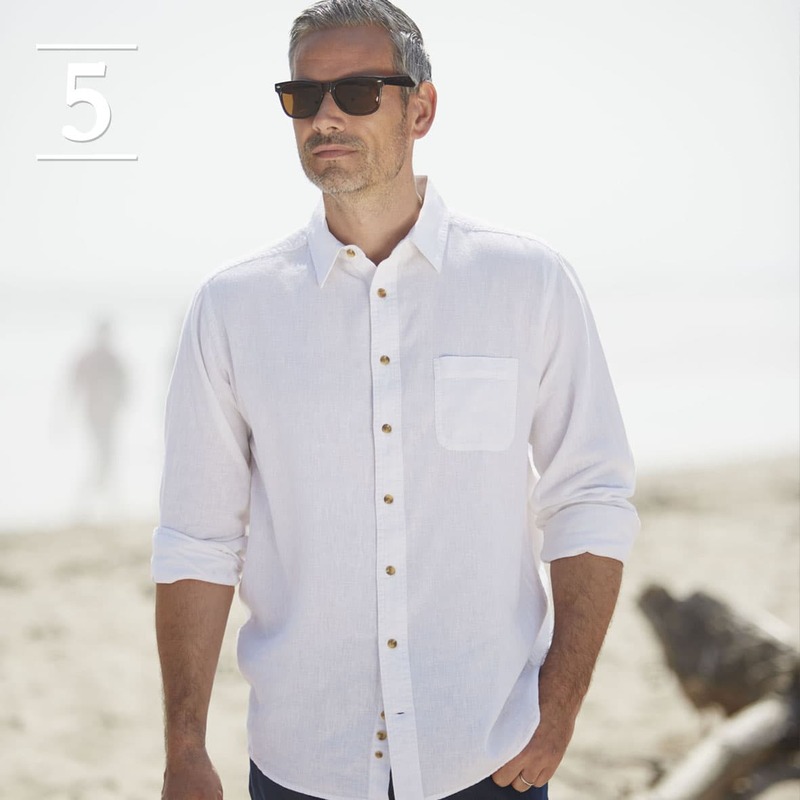 Our Linen shirt features a relaxed fit, casual collar and a rounded chest pocket. Complement your shirt with chino shorts or trousers for that ultimate summer outfit. DOUBLE TWO COPYRIGHT 2019. REGISTERED ADDRESS. PO BOX 1, THORNES LANE WHARF, WAKEFIELD, WEST YORKSHIRE, WF1 5RQ.